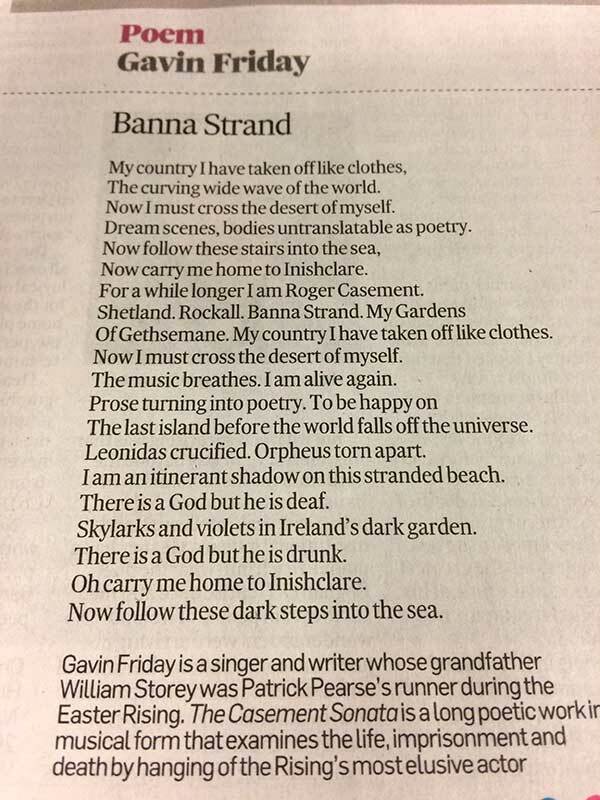 “Banna Strand”, from Gavin Friday’s forthcoming ‘The Casement Sonata’ was published in today’s Irish Times. It is part of a long poetic work in musical form, examining the life, imprisonment and death of Roger Casement. Casement was a British diplomat of Irish extraction, humanitarian activist, Irish nationalist, and poet. "The world needs more love, just as it needs more Gavin Friday. "